In Spanish, "dulce de leche" means "sweet of milk." It's basically caramel. It's good. This gelato is pretty tasty, too, if you like caramel. Fortunately, I do, and my wife does as well. But I wasn't quite as enthralled with this product as I was with my delicious Crème Cake & Berry Swirl Gelato. I think it was the bits of sponge cake in the latter that really pushed it over the top for me. 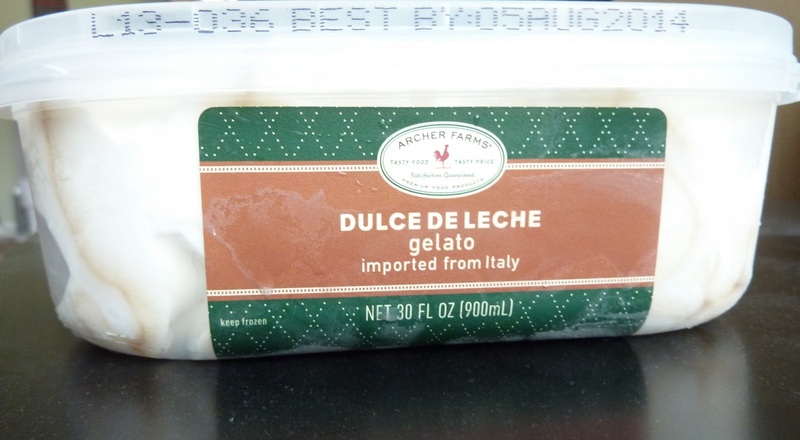 The caramel in this product is very good, the gelato itself is good—on par with all the other vanilla-based gelato I've had from Archer Farms. 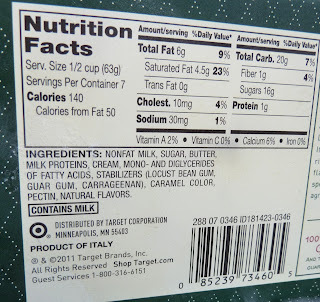 The mono- and diglycerides of fatty acids are really good...wait...what did I just say? Sometimes it's better to remain ignorant and not even read the ingredients list, especially if you're trying to treat yourself to something special. What? 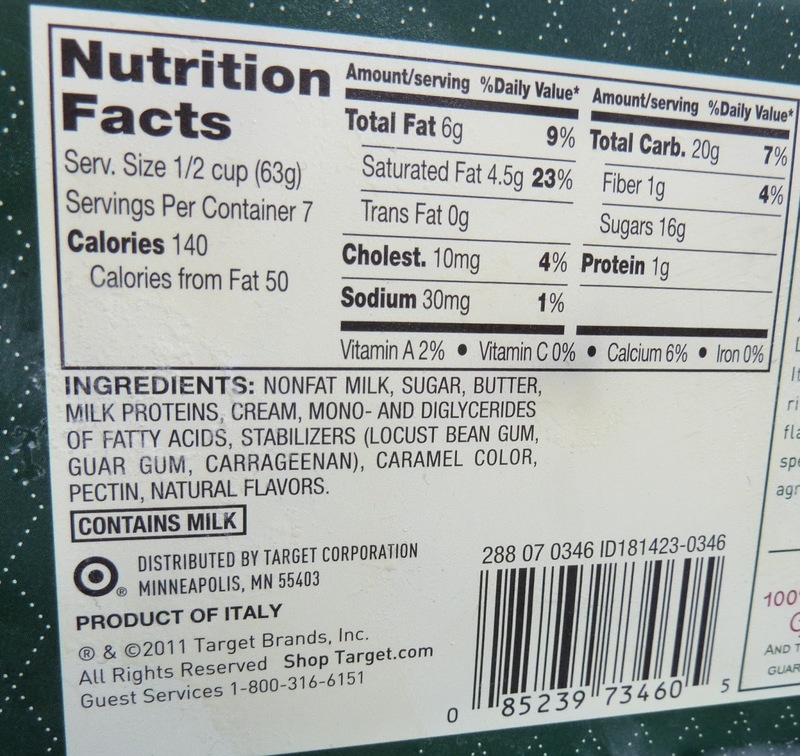 No triglycerides of fatty acids? Cheap jerks. But seriously, in comparison with the Cake & Berry nonsense, this flavor is just a little boring to me. I feel like I have tasted sweet Heaven, and I don't wanna go back to Earth. But under any other circumstances, this review would have made this product sound like a raving success. It is very good. My wife claims to like it just as much and maybe better than the Cake & Berry flavor. To say it's better than the Cake & Berry is preposterous to me. But it is a close second...I'll give her that.